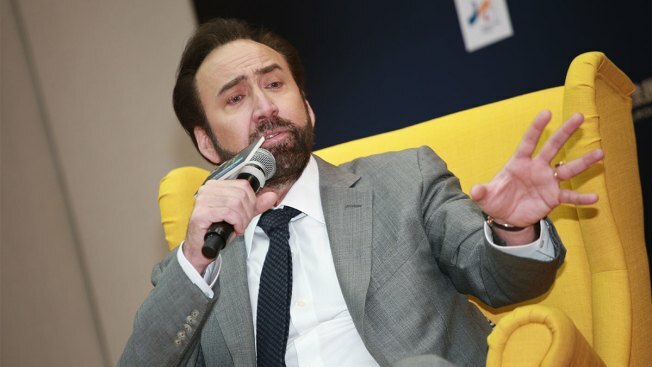 Actor Nicolas Cage attends the opening ceremony of the 3rd International Film Festival & Awards Macao on Dec. 8, 2018, in Macao, China. Just days after E! News had confirmed Nicolas Cage and girlfriend Erika Koike obtained a marriage license, it appears the actor is pumping the brakes. Court documents obtained by E! News indicate Cage filed for an annulment with Koike on Wednesday, indicating that the pair had evidently tied the knot. E! News has reached out to the star's rep for comment. The Blast was first to report the news. Cage and Koike had been dating since last spring. The pair first sparked romance rumors in Puerto Rico while Cage was filming the upcoming action film "Primal." A grizzly-looking Cage and Koike dashed into a private car after dining at a local restaurant on the island. Before dating Koike, Cage was married to Alice Kim for 10 years, but separated in 2016. During their short-lived, but seemingly happy time together, the actor and former waitress welcomed their son Kal-El Coppola, 14. And, before that, the "National Treasure" star was briefly married to Lisa Marie Presley in 2002 and Patricia Arquette in the late 1990s.